Michael Mocho is a full-time woodworker and craftsman from New Mexico. He has completed residencies at the Arrowmont School of Craft, Anderson Ranch Arts Center, and the International Turning Exchange program at the Woodturning Center in Philadelphia. You can see his work at mmocho.com. 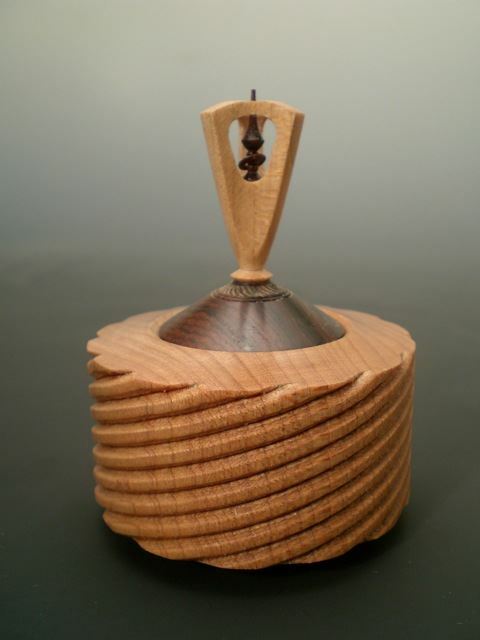 At the club meeting Michael will turn a small piece on the lathe using textural elements and a series of fitted parts.